I’m a big fan of playing a lob out of the front corners when under pressure, but more and more we are seeing the counter drop. The Jonathon Power coaching video, ‘Exposed’ from the early 2000’s is an excellent DVD, but I remember he was the first person I’d heard talk about the counter drop with such enthusiasm. He loved to play it because it could turn defense into attack in an instant. What he said was that it makes good sense to play it – you’re at full stretch moving into one of the front corners so your racket has to be out in front of you in order to reach the ball before the second bounce. In this situation you have no back-swing so generating power is difficult (or impossible for most), so ‘dinking in’ a drop shot is the bast option. Then if you can get this drop shot low or tight then you have an excellent chance of it becoming a winning shot – so with the space of a second you have turned a situation where you were massively under pressure, struggling to reach the ball, into a winning situation with a tight drop shot. 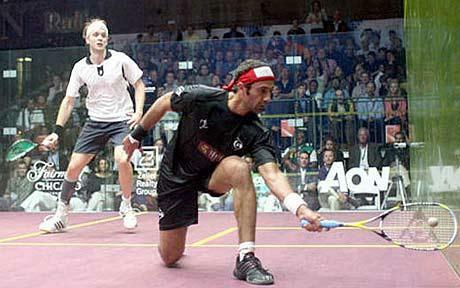 Then I would say Amr Shabana was the next person to really use it well. He used it ever so slightly differently. 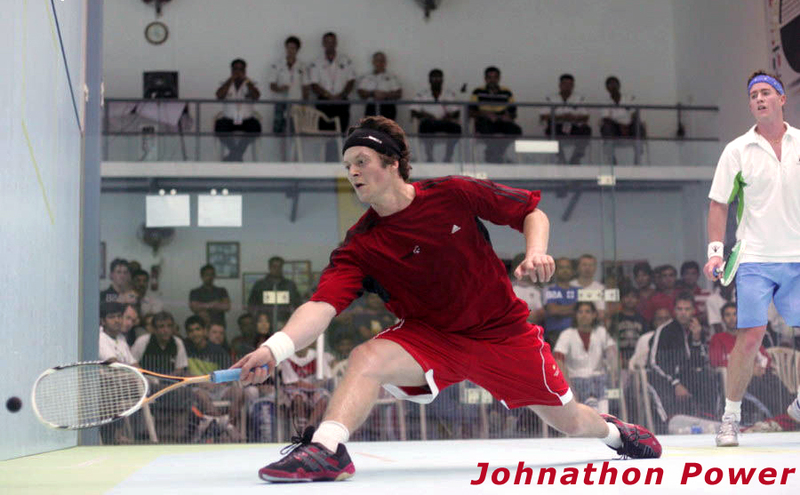 He played it when he was having to retrieve a very tight drop shot from his opponent. He would simply soften his grip on his racket and ‘roll in’ the counter drop, pushing the ball along the side wall. Gregory Gaultier is phenomenal at it on the backhand side. Gaultier plays it like Jonathon Power would (only better), after a full speed lunge and at full stretch. 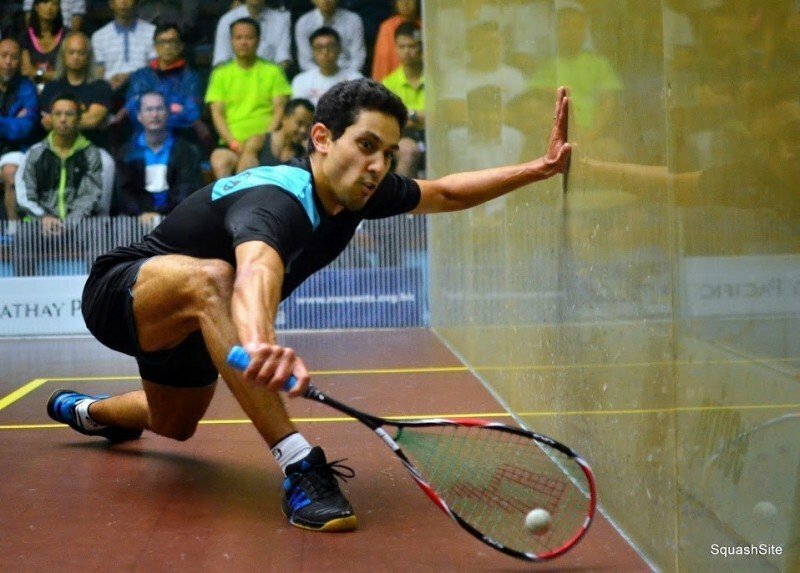 Watching the absolutely amazing St. George’s Channel Vas final yesterday between Ali Farag and Tarek Momen, it is clear that the counter drop is now a staple part of the elite game, much more so than ever before. 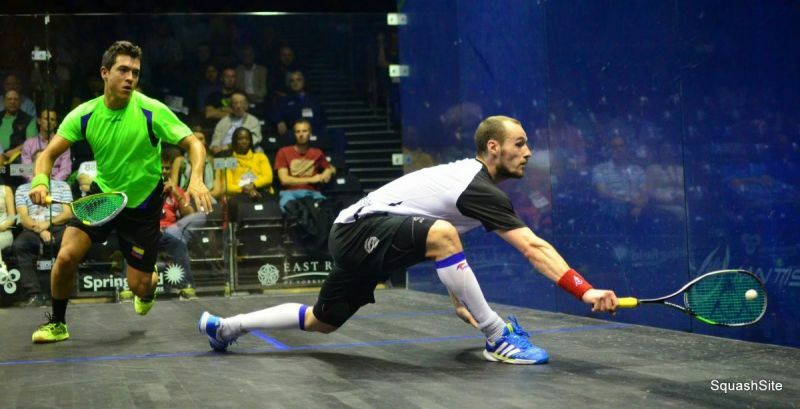 The level of squash now is so incredibly high, higher than ever before; the quality of attacking shots is breathtaking, which means players must try to find a way to not only reach the ball in the front corners, but scrape them off the side wall and back into play somehow. The counter drop offers that. Watching someone like Diego Elias, who is likely the future of squash, the counter drop is obviously something he has worked on a lot. He’s grown up watching the subtle changes transforming squash over the last decade and has been able to style his game around them (with the coaching help of Jonathon Power I may add!). A quick note on the risk of the shot. The risk is hitting the drop too loose off the side wall meaning your opponent can hit down and aggressively and likely win the rally with their next shot. Getting your counter drop ‘tight’ to the side wall is the number one aim, much more so than how low it is above the tin. Therefore do not play the counter drop with too much angle, which is why I personally would play it off my opponents’ straight drop as I can push the ball back along the same line and have it stay close to the side wall. For me playing the counter drop from my opponents’ low boast is more of a challenge as I would have to push the ball toward the side wall at an angle leaving more chance of getting it wrong and the ball either coming back off the side wall and back toward the middle of the court. So, definitely think about the counter drop as a good shot to play when you are under pressure in the front corners. Give it a try and if you don’t like it stick to playing the lob instead.